Many pet owners wonder whether they will see a dramatic difference when first beginning Total-Zymes® and Total-Biotics® supplementation. Since these are all natural whole food products, each pet will vary in results. Some of the long term benefits start manifesting themselves in two to three months. Common benefits include: Healthy skin, softer coat, smaller stool. If excess gas or poor stools were never a problem, then you may not see a big difference in your pet’s digestion. So me owners whose pets had major issues tell us they got dramatic results in sometimes just a few days. Dogs are naturally raw food animals and when we feed them cooked food, like kibble or canned food, there are long term consequences that can manifest themselves later in life. Total-Zymes® and Total-Biotics® will make a positive difference in your pet’s health. Remember: These products are not medications so they will not clear up health issues instantaneously. They are supplements to your pet’s diet, and may take time to do their job. 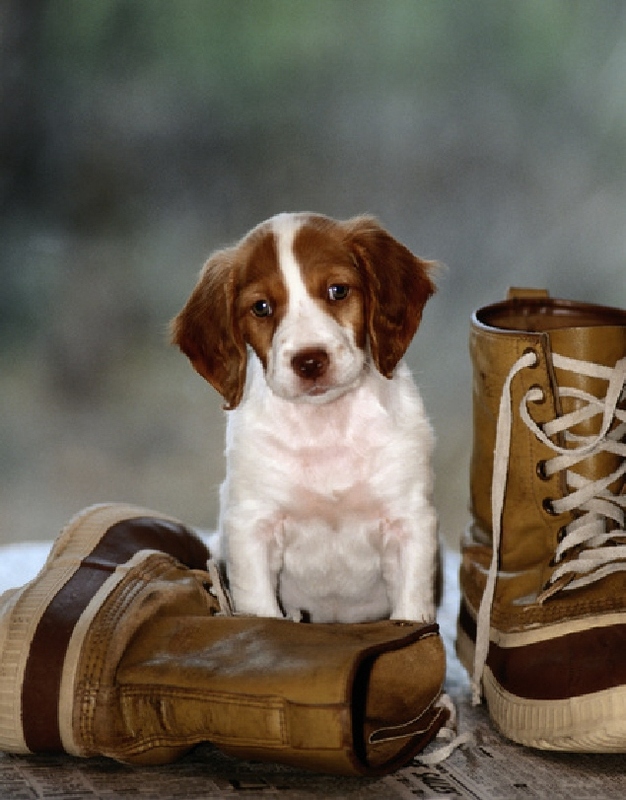 In this way, your pet is helped to grow to health gently, and your pet will not experience harsh side effects as with many other pet supplements. You will see results, and your pet will feel healthy and vibrant in no time! 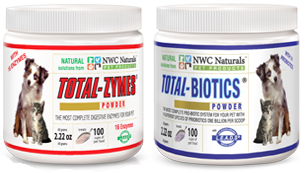 To find out more about Total-Zymes® and Total-Biotics® click here: Natural probiotics and enzymes for dogs and cats. Give your pet a more vibrant, healthy life now!